There is no doubt that anything a celebrity touches, instantly turns to gold. Kylie Jenner is the youngest billionaire thanks to her Kylie cosmetics range. Other celebs earn millions from endorsement deals such as Rihanna and Fenty and Ariana Grande for Reebok. In the past, celebrities have been endorsing some cryptocurrencies. Boxer Floyd Mayweather immediately comes to mind since he endorsed a number of ICOs. Some did not go so well. Never the less, let’s take a look at other celebrities who are into cryptos. The football legend Lionel Messi is the global brand ambassador for Sirin Labs. 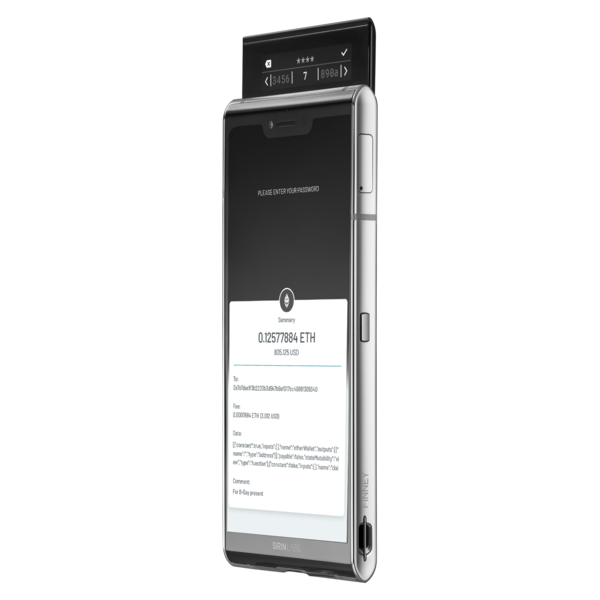 Sirin Labs is developing a blockchain “Finney” smartphone as well as a PC. Messi will be promoting the brand and by doing so promoting blockchain as a friendly option. Assistant to Iron Man-Tony Stark clearly has a neck for tech herself. Gwyneth Paltrow who is an actress, entrepreneur, food writer and socialite is an adviser for the Abra Cryptocurrency Exchange. Apparently she was very impressed with the project when she heard a pitch during Planet of the Apps. Paltrow was a panelist during the episode. Katy Perry, the “Swish” and “Bon Appetit” hit-maker recently posted a pic of her new cryptocurrency manicure. Showcasing her love for various cryptos, Perry had the logos of Bitcoin, Litecoin, Ethereum and Monero on her nails. She calls them “Crypto Claws”. Perry has more than 71.9 million followers on Instagram. Ashton Kutcher is apparently big on tech. He is a Bitcoin enthusiast and even co-founded A-Grade Investments. A-Grade Investments funded the BitPay cryptocurrency exchange. Kutcher has apparently been supporting blockchain tech since 2014 when he took to Twitter for the first time and spoke about Ethereum. More recently, he went onto the Ellen Degeneres show to talk about why he donated $4 million worth of Bitcoin to charity. He explained that Bitcoin is great for the security of the internet and users. The “Smack That” hit-maker is clearly doing just that in the cryptocurrency realm. Akon has a vision of creating a town that would use the “Akoin” crypto to perform transactions. Akon made this announcement during the “Branding Africa: Blockchain, Entrepreneurship and Empowering the Future” conference. He sounded quite serious about Akoin as he has mentioned this at more than one summit. It is a fact that there are not a lot of women involved in the crypto space. All the more reason to get excited for the former Miss IOWA USA 2014 turned CEO of ParagoinCoin. The project is aimed at revolutionizing the Cannabis Industry by means of blockchain tech. Unlike South Africa, America has a bit of a complicated legal status around marijuana. American rapper, The Game is also an adviser on Paragon. Former Spice Girl Mel B will tell you what she wants, what she really really wants – Bitcoin. Did you know that Mel B was actually the first artist to accept Bitcoin payments? Back in 2013, she invited fans to buy her Christmas single with Bitcoin via CloudHashing. Mel B has mentioned on numerous occasions that she believes Bitcoin will make life easier. Nas is a rapper and hip-hop artist and has invested more than $25 million into Coinbase. Since then Coinbase has become of the biggest Bitcoin exchanges in the world. However, the rapper has no intention to stop investing in crypto related products. He has funded more than 500 startups. Nas has said he believes Bitcoin is the future and it will evolve to be bigger than the internet.